MAY 2019 COMPLETION. 100% Energy Star Certified Providence Home! 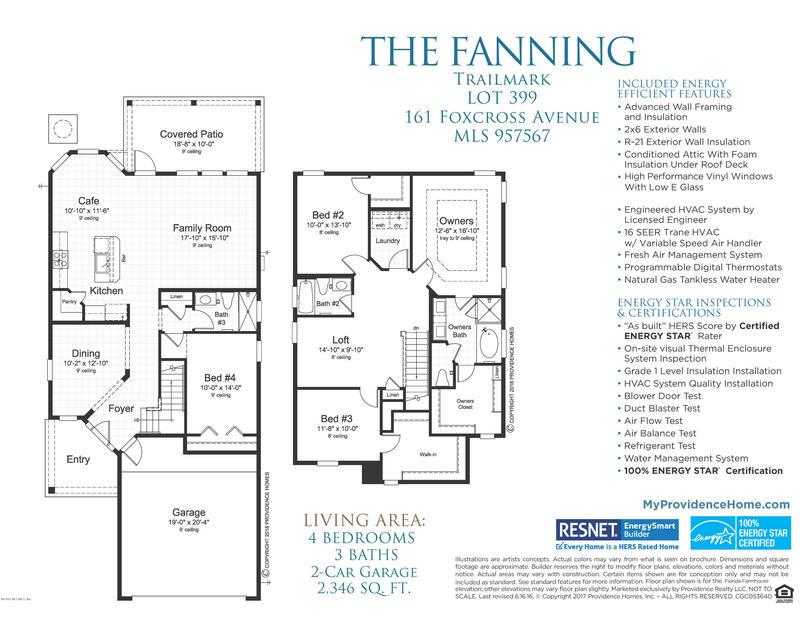 The two story Fanning plan features 4 bedrooms, 3 baths, dining room, family room open to cafe/kitchen. First floor bed and bath. Second floor Owners Suite with 2 bedrooms and a Loft. Stainless Steel Appliances, Quartz Counters in kitchen, tile flooring throughout except for bedrooms. Trailmark is a family-friendly new home community located in the growing World Golf Village area in highly desired St. Johns County. 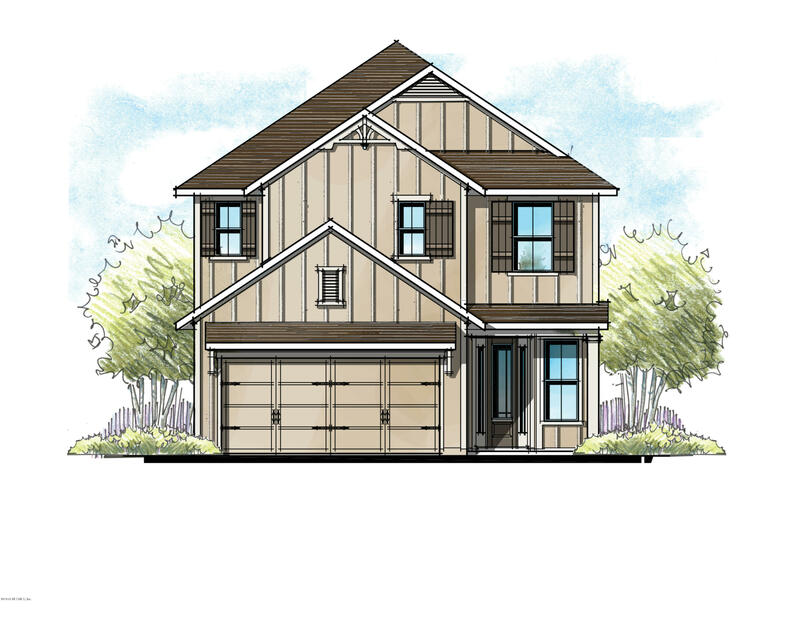 This community offers natural landscaping featuring tree lined winding roads throughout. Conveniently located to I-95, TrailMark is just minutes away from historical downtown St. Augustine, fantastic shopping, dining, great golf courses, and top rated schools. 161 Foxcross Ave is a 2,346 (*estimated) square foot home with 4 bedrooms and 3 bathrooms located in St Augustine FL, ST. JOHNS County. This property is listed for sale at $299,900 and is currently active and accepting offers.